Walking is a healthy and environment-friendly, not to mention wallet-friendly, way to get around. 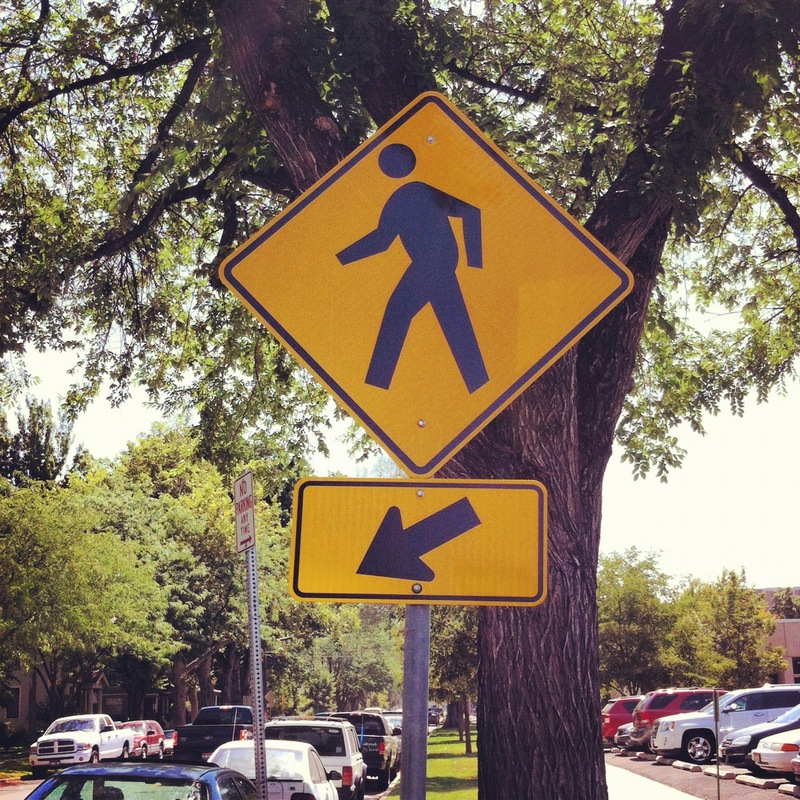 However, if you are not mindful of your surroundings, walking can be dangerous. Yes, pedestrians do have the right of way, but sometimes drivers are distracted or can’t see you. Be careful at intersections, where drivers may fail to yield the right-of-way to pedestrians while turning onto another street. For those who text and walk, LOOK UP! Distracted walking, which includes talking on your phone, texting, Facebooking, Tweeting, and Instagramming, is NOT SAFE. You may think, “Go me! I’m walking to the gym, texting my mom, responding to e-mails, and Instagramming a picture of a turtle-shaped cloud! I sure know how to multi-task!” (I’ve never done that before). But, is multi-tasking really worth walking into a telephone pole? That’s what a 24-year old woman did while texting (Huffington Post). Even worse, a man talking on his cellphone was so distracted by his conversation, he didn’t even notice the edge of the train platform. He fell head first onto the tracks! Luckily, there was no train approaching and he was able to climb out of danger (Huffington Post). Last year, about 1,152 people in the United States were treated in the ER for injuries suffered while walking and using a cell phone or some other electronic device. So think twice before you bust out your iPhone to update your status or play Scramble with Friends (am I the only one who still plays this game?). And remember to look both ways before crossing the street!